A friend in need is a friend indeed. Trevine David, whose very sudden demise was a shock to us all, was one such person. Trevine was a gentleman and a loveable man who never forgot his friends and relatives. He was born in Mt. Lavinia and had his education at St. Mary’s College, Dehiwala where he shone in sports activities. Trevine was employed at Equity Services which came under Carson Cumberbatch and Co., and served as a manager in the shipping division. His attitude to work had been of high standard. Trevine married Eleen Nicholas and the couple was blessed with four children with whom they lived in Kesbewa. Trevine acknowledged and spoke to everyone and took great pleasure in entertaining anyone, be it friend or foe. He was devoted to work ethics which he persued without fear or favour and stood by what he believed to be right and was never reluctant to express his views. I remember Trevine as a human being with admirable and endearing qualities, very courteous, unassuming and soft spoken. He was an all round sportsman. He played basketball for St. Mary’s College, Dehiwala and the Dehiwala YMCA. Due to his dedication in the area of sports, he was an automatic choice in national sports administration and planning committees in the areas of basketball and cycling. He was elected to the positions of Secretary of the Basketball Association and the Secretary of the Cycling Federation. He was also a Women’s National Basketball team coach. It is unbearable to all of us that we shall not meet or see him anymore in this life. What we now remember is what Trevine did for us and gave us during his lifetime. They were all extremely meaningful and beyond what words can express. His sudden death continues to be a shock to us all who associated him. Sir Cyril de Zoysa whose 34th death anniversary fell recently, is too well-known to be introduced as a national multi-faceted genius whose contributions in the fields of religion, business, statemanship, sports and the law were outstanding. He was at different times been described, as an indefatigable gentleman of many parts. Truly, he made a success of everything he touched, and the main reason was that he worked so conscientiously and relentlessly as if the rewards were inevitable in the result. Cyril de Zoysa was born on October 26, 1896 at Welithara Totamuna, Balapitiya in the Galle District. That coastal town is famous as the village of birth of men of valour who attained very high academic qualifications in all the professions, business, commerce and industry. Besides, their physical prowess and excellence in the police, security forces and last but not in the least in politics and public life needs no introductions. Indeed, Balapitiya literally means the field, ground or land of power. His father was Solomon de Zoysa, a well-known notary public during his day who practised at Ambalangoda. The De Zoysa couple was blessed with six children. Cyril was the second child in the family. He was educated at St Thomas’ College, Matara, Richmond College, Galle and Royal College, Colombo. After passing the Cambridge Senior Examination in 1916 in keeping with the aspirations of his ambitious notary father, he opted for a legal career as a proctor. He joined the Law College and passed out as a proctor. Once duly admitted and enrolled as a legal practitioner of the Supreme Court in that branch of the legal profession residing at Welipita, he commenced his profession as a proctor in the Magistrate’s Court, Balapitiya that was then known as police courts. He shifted to Kalutara Courts where he was described to make his name and fame. In 1926 he set-up his practice in Kalutara practising as both sides of the law – criminal and civil – and also undertaking notarial work. A non-smoker and teetotaller, his ability became apparent in a short time, Proctor Cyril de Zoysa was sought after in all courts. However, subsequently he settled down in the criminal courts. His practice was wide and lucrative and apart from Kalutara the Magistrates’ Courts of neighbouring Matugama and Panadura made demands on his time. The long-standing sacred Bo tree located in the heart of the Kalutara town by the side of the Galle Road soon became the cynosure of his eyes. Being a devout-practising Buddhist from his childhood, the fervour imbibed in his mind by his equally religious parents, the young lawyer was appalled by the apathy of the then British authorities in allowing the Buddhists to offer flowers and worship that sacred tree. The British Government Assistant Agent stationed in that district town, put up a police post, erected barriers in order to prevent the devotees from offering flowers, lighting coconut oil lamps, worshiping and paying obeisance to the sprawling Bo tree. That was the situation in the late 1920s and early 1930s. Undaunted, the young lawyer-proctor Cyril de Zoysa took steps to erect stands for the purpose of offering flowers and lighting coconut oil lamps. The police then threatened to arrest him. This lawyer challenged them to file action and, haul him up before courts if he has contravened any law. Under the Police Ordinance, Penal Code or the Criminal Procedure Code. In course of time he was instrumental in establishing the Kalutara Bodhi Trust for the advancement and welfare of the sacred Bodhi premises. He saw to it that the Kachcheri or the district Secretariat was shifted to the Nagoda suburbs from the vicinity of the ever increasing place of worship. He was also bold enough to acquire the site of the Assistant Government Agent on the top of a hillock overlooking the sacred Bodhi and got a massive magnificent chaitya constructed there on. The Kalutara Chaitya Rajaya with unique paintings, frescoes, engravings and what not is one of the spectacular Buddhist architectural show pieces in the whole of Asia as far as modern such religious constructions are concerned. The close-by pilgrim rest is also a monument to his stupendous religious endeavours. Till he breathed his last the Kalutara Sacred Bodhi and its allied schemes were near and dear to his heart of gold. He was in a short time the unquestioned leader of the Kalutara Bar and continued to be so until his other interests brought him to Colombo and away from the law. Sir Cyril de Zoysa is still remembered for his resourcefulness, his ready wit and his searching cross-examination. As an organizer he was almost without an equal and perhaps his greatest contribution as a lawyer to his colleagues and to the litigating public was as President of the Law Society. As President of this Proctors’ Association he revitalized it into a vibrant and meaningful institution. He succeeded Sam J C Kadirgamar another great and successful proctor of his time as president of the Law Society. For as long as the Law Society functioned as Proctors’ Association, Sir Cyril’s name was almost synonymous with the institution.He was almost single-handedly responsible for what was known as the Law Society building. The Legal aid scheme was another innovation by him. Despite his rough exterior he was a kind-hearted, considerate, religious minded gentleman. The augmentation of the libraries of the District Bars was another step taken by him in the right-direction. Yet another achievement to his credit was that he was the central figure in working out the new constitution of the society. He was not at all an introvert but an extrovert. When practising as a lawyer in Kalutara he embarked on his transport business. He founded the Swarnapali bus service with only one vehicle that operated in the South. Swarnapali buses from Colombo provided comfortable transport to passengers upto Matara. As the foremost private road transport entrepreneur his pioneer venture blossomed out to be the South-Western Bus Company Ltd. When the company he founded was nationalized with all other private sector bus companies on January 1, 1958. Sir Cyril most willingly handed over to the state his fleet of 300 buses fully fuelled, fitted with new tyres. It is to the credit of the South Western Bus Company that it provided passenger travel in double-decker buses. Soon after the takeover of his transport empire by the state, he opened up several industries in Kalutara. Factories were established to manufacture tyres, tubes, cables, tyre-rebuilding, electrical equipment etc. Associated Motorways is the leading industrial venture by him. He held with distinction the presidentship of the now defunct Senate. He maintained the highest tradition at that exalted legislative institution. There was full of dignity and decorum in that ‘Upper House’ of the parliamentary system. The experience he gained as the Chairman of the Kalutara Urban Council was tremendous. 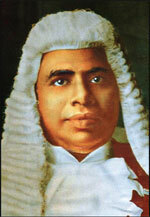 He was also a prominent Member of the Council of Legal Education. Other reputed associations with which he was closely connected is legion. Suffice it will be to mention some prominent such institutions. They are namely, the Boy Scouts’ Association, the Sinhala Sports Club, the Mahabodhi Society, the National Association for the Prevention of Tuberculosis, the Deaf and Blind, National Society (DBNS), the Benares, India, Sri Lanka, Kerala, Buddhist Propaganda Society, and the YMBA Colombo. As a philanthropist of great renown, he lavishly contributed to the Kalutara Vidyalaya, the Kalutara Balika Vidyalaya, the Kataragama Pilgrim’s Rest, Kataragama Kirivehera, Aluthgama Kande Vihara, the Bellanwila Temple, Vajiraramaya, Bambalapitiya, Gangaramaya, Colombo, the Jayasekeraramaya, in Kuppiyawatte, Maradana. Sir Cyril de Zoysa the great philanthropist breathed his last on January 02, 1978 when he was 82 years of age. May Sir Cyril de Zoysa attain the supreme bliss of Nirwana at the end of his Sansaric life! 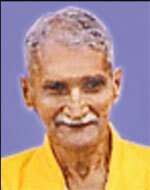 Late Kandiah Poornanandah, retired Asst. Superintendent of Telecommunication and formerly of Electro Plastics, Kotte attained Mottcha peacefully at the age of 94, on May 20, 2012 leaving behind his two daughters Bawani and Ananthi. His demise brought great pain and sorrow to everyone who knew him and all of us miss him, a vacuum that cannot be filled. He was a gentleman of the finest qualities among human beings. His greatest happiness was seeing those near and dear to him doing well in life. He was a simple, charming, mentor and guide to all and possessed knowledge of human philosophy. He conquered the hearts of everyone who had met him. The saying, “I came, I saw and I conquered” fits this high calibre personality. The years may pass but the memories of Late Kandiah Poornanandah will remain in our hearts. Life is like a flower that blooms in the morning and withers away in the evening. Life originates from nowhere and the soul leaves this universe to reach a sanctuary of the God which Hindus believe as Mottcha. May the Almighty God take care of his soul to rest in serenity and tranquility for ever. Buddhananda Siriwardene, affectionately known to us as Buddhi was a gentlemen par excellence. He was a dexterous person who lived true to his name, wise and agile. Having had his education at Nalanda College, Colombo, he joined the Sri Lanka Air Force as a petty officer after leaving school. His popularity among the rank and file in the Air Force was amply displayed by the number of retired Air Force officers who came to his house to chat and enjoy the evenings with him. Within the family circle his erudite advice in handling tricky situations was a great boon. He was loved and admired by all he associated. It was on Vesak full moon Poya day last year that we heard of Buddhi being admitted to hospital following a nasty fall at home. He was semi-conscious at the time of admission and lost consciousness after a few days which he never regained. Although he received the best of medical attention he failed to recover and succumbed to his injuries on the day before the Poson poya day. He was seventy four years of age at the time of his death, a little too early for a man of such stature to say goodbye to the world. Our relationship started with the marriage of his daughter to my son. Since then we have remained very close friends. I still remember the day when he walked into our house with the late Minister Ashraff to show him the first grandson born to his daughter. He was then the Deputy Commissioner of Essential Services in the Rehabilitation Ministry where Ashraff was the Minister. Buddhi was an elated grandpa when he saw the minister walking about in the sitting room carrying the baby in his arms. He used to talk about that saying how pleased the minister was to see the baby. While in service he served in the Royal Ceylon Air Force Headquarters in Colombo, Katunayake, Diyatalawa, and China Bay. He held inter-alia several important assignments as Senior Administrative Officer - Royal Ceylon Air Force, Diyatalawa and Officer Commanding Personnel Services, Royal Ceylon Air Force, China Bay. He was serving in Katunayake as the Base Commander when the Air Force Armoury was attacked by a group of armed insurgents and he was able to successfully thwart the attack and guard the premises, which was highly commended. He also held several civilian appointments as Assistant Manager of the Sri Lanka National Soccer Team, President of the Sri Lanka Badminton Association, Hony. Treasurer of the Football Federation of Sri Lanka and the Vice President of the National Olympic Committee. Buddhi was among the few Sri Lankans who went to Pakistan in the company of Minister Ashraff to witness the Sri Lanka - Australia World Cup Cricket Finals in Lahore in 1996 which Sri Lanka won. Buddhi joined the Royal Ceylon Air Force as a Pilot Officer in 1959 and rose to the rank of Air Commodore by the time of his retirement from service in 1992. He was the recipient of the Armed Service Long Service Medal, Sri Lanka Air Force 25th Anniversary Medal, Republic of Sri Lanka Armed Service Medal, Purna Bhumi Padakkama, Armed Service Long Service Clasp and Vishista Seva Vibhushanaya. One year has passed since his demise but memories of our friendly association still linger in our minds. Our pilgrimage to Damabadiva in 2007 was an unforgettable trip that aptly displayed the devoutness that remained hidden in Buddhi. The robust demeanor we usually saw in the retired Air Force officer was overcome by the pious pilgrim stretching headlong at every sacred site. Even after returning home from the tour he cherished the unforgettable memories and enjoyed talking about the visit to the sacred sites. May he attain Supreme Nibbana !